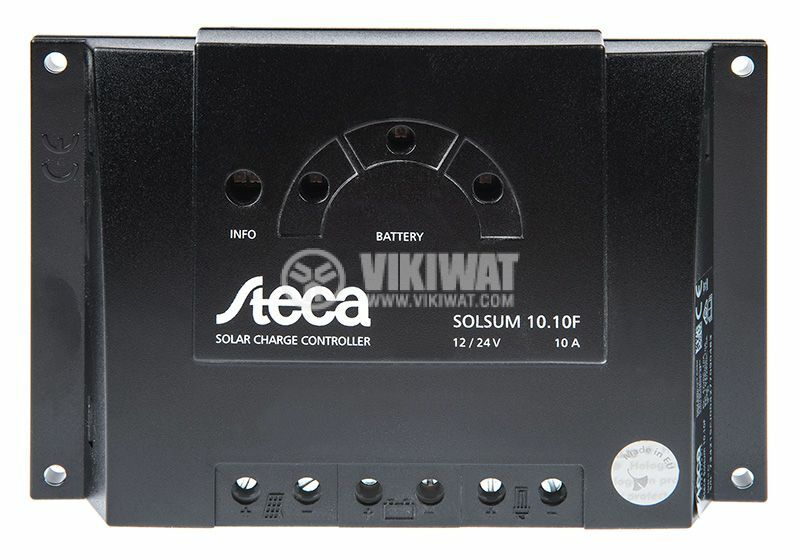 Solar panel controller with rated charging current 10A. The controller is designed to control a photovoltaic system consisting of solar panels, accumulators and consumers. The electronics of the controller are protected by an electronic fuse. The built-in LED displays battery charge information. The terminals allow easy connection of the photovoltaic panel, accumulator and consumer. The highly efficient Steca controllers of the Solsum F series are PIM-based. short circuit protection at input and output. оverall dimensions - 145 x 100 x 24 mm. When using a 12 VDC battery, use a solar panel for 12 VDC. 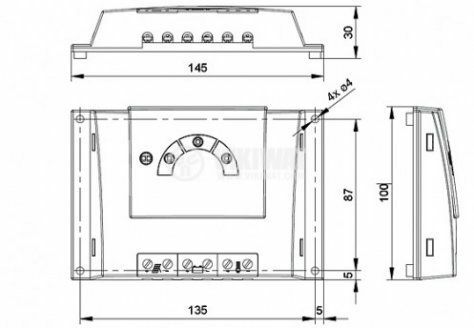 For a 24 VDC battery, a 24 VDC panel is selected. Прост, надежден и ниска цена. Фамилията Solsum са най - успешните и най - често използваните в домашни соларни системи.